Submit stunning images of Comet ISON for impressive cash prizes! Astronomers predict ISON will be one of the best comets in decades. To commemorate this grand sky event, head out this fall to capture your finest images of Comet ISON, and you could win cash prizes and have your photo featured in Astronomy magazine. Register and submit your Comet ISON images to www.nsf.gov/comet. The photo contest runs October 15, 2013, through January 15, 2014. 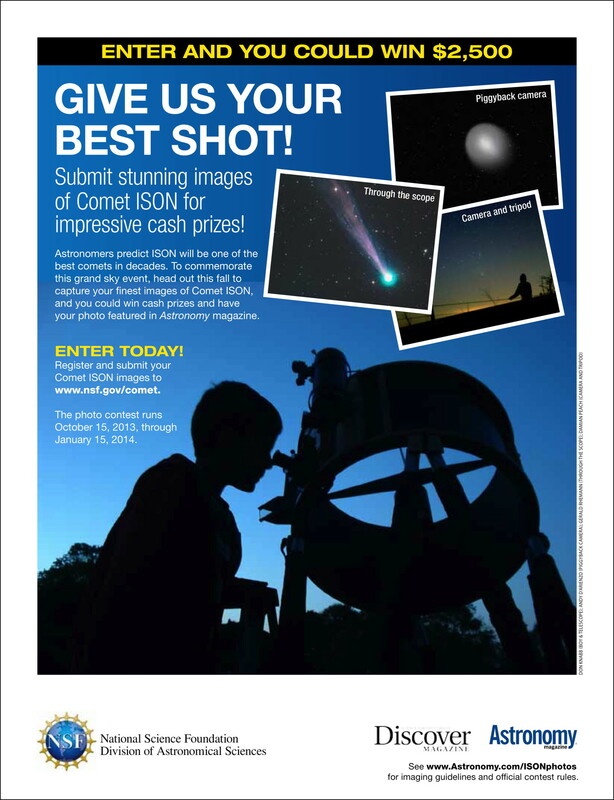 Comet ISON Photo Contest. Credit: National Science Foundation Division of Astronomical Sciences.